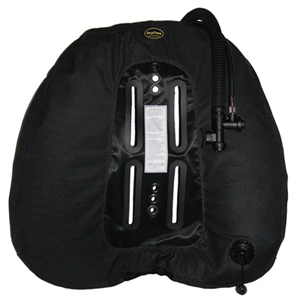 42 pound or 55 Pound Lift Vertex Extreme Series is a Single Inner Bladder/Single Inflator Wing for Doubles. Fits Rebreathers very well. The extreme series wing provides the greatest puncture and abrasion resistance than any wing we have made. Lighter in weight compared to the Cordura 55# Vertex. 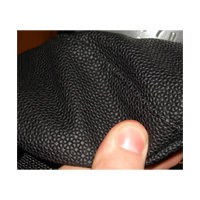 Puncture and abrasion protection is provided by the tiny, hard guard plates that are adhered to conventional and non-conventional base fabrics. Because the gap between guard plates is very small, it provides high levels of protection from sharp, pointed objects when using multiple layers of fabric.